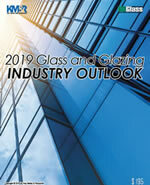 February Nonresidential Spending: What’s Actually Relevant to Glass and Glazing? 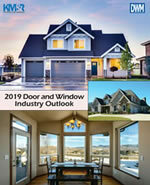 The February construction spending numbers from the U.S. Census Bureau came out this week, and they were pretty friendly to the architectural glass and glazing industry. Nonresidential construction as a whole increased just 0.1 percent from January and 1.3 percent from February 2017. However, a deeper look at the numbers paints a more positive picture. There are 16 subsectors under nonresidential construction. In terms of relevancy to the glass and glazing industry, I put them into three categories—Very Relevant, Somewhat Relevant, Not Relevant. In these segments, the use of glass and glazing is consistent. They all commonly include one or all of the following on virtually every structure: curtainwall (prominent in office), window wall (prominent in lodging), storefront (prominent in commercial) and other commercial glazing applications. The Numbers: Four of the five “very relevant” sectors recorded month-over-month (MoM) increases, and all five recorded year-over-year (YoY) increases. Lodging construction increased 3.2 percent MoM and 15.2 percent YoY, while office was up 5.5 percent MoM and 4.1 percent YoY. The commercial category, which includes retail, also performed well, with a half-percent increase MoM and an 8.3-percent bump YoY. Educational building continued its steady ascent with a 0.7-percent increase MoM. It is up 2.7 percent YoY. Meanwhile, healthcare building pulled back 4.9 percent MoM, though it is still up 4.3 percent YoY. In these segments, glass and glazing is used somewhat consistently, though in certain applications it is not used at all. For example, amusement and recreation includes convention centers and sports arenas not located at colleges/schools, which can include large expanses of glass. However, it also includes theme parks and seasonal/tourist camps. Transportation includes glassy airport terminals, but it also includes airport runways. The Numbers: Four of the five “somewhat relevant” sectors recorded decreases month-over-month (MoM), and three of the five recorded year-over-year (YoY) declines. Amusement and recreation has been tepid, accounting for decreases of 0.2 percent MoM and 1 percent YoY. Transportation was down 1.9 percent MoM but up a whopping 16.3 percent YoY. Religious building construction is down 2.6 MoM and 11.9 percent YoY, while public safety declined 5.7 percent MoM but is up 12.6 percent YoY. Manufacturing increased 1.2 percent MoM but dipped 5.6 percent YoY. In these segments, glass and glazing is hardly used. The Numbers: A majority of these segments saw month-over-month and year-over-year declines, putting a drag on the overall nonresidential numbers. So as you can see, the “nonresidential construction” number doesn’t really tell the whole story for the glass and glazing industry. When broken down into sub-sectors, things look more positive. I’ll be using this format as the basis for future analysis of spending reports, so stay tuned.